I was looking at the parts and accessories catalog on the hobie site and saw the EPO3 rudder blades listed. Is there any difference in the 2 vs the 3? It looks like the part number for the EPO3 matches the part number for the Kevlar EPO2 blades. Is the EPO3 an improvement on the EPO2 in terms of the foil shape or is it just a new look? New catalog, Page 18… The EPO is back! This third generation rudder the EPO3 combines the original shape of the EPO2 rudder with an improved trailing edge. We developed the EPO3 rudder blade as the next generation performance rudder blade for the 14, 16, 17, 18 and 20. With this proven foil shape and a fine trailing edge, the EPO3 offers reduced cavitation with smoother, more forgiving control. The EPO3 rudder is stiff where it counts due to its hand laid fiberglass construction incorporating extra cloth for longitudinal stiffness. We have placed extra glass in all the right places to ensure that it is tough enough for the most demanding sailors using extreme mast rake. You will experience supreme performance and handling not found with other rudder blades. White EPO3: Gucci looks, stiff and light weight. So for those of you running out to upgrade, I'll be happy to give your old, tired, and obsolete EPO 1's or 2's a good home on the back of my boat. Yeah that! Toss me some barely used sails too! I was just about to get some new rudders. Wonder if they are available in Aus yet. Pretty sure you can find them there, in fact would not surprise me if that is where they are made. Just saw the price!!!! OUCH! Those would double the value of my boat! I recently heard a rumor that the new EPO3s retail for roughly $450.....each! sail with the least amount of trouble to owners. 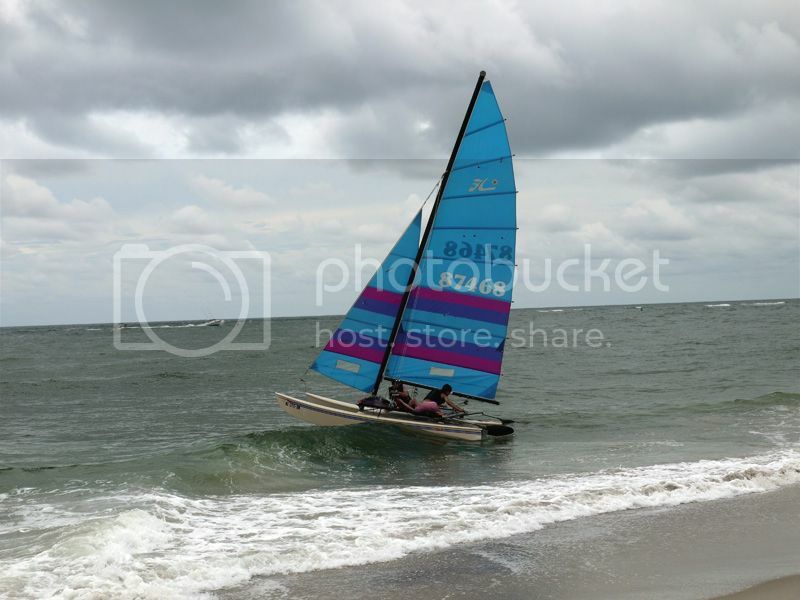 of the Hobie Cat for class racing. Class leadership has nothing to do with Hobie Cat's introduction of the EPO3. Hobie Cat Company could manufacture $10,000 rudders (not that there's a market for them) and the class would have no say in the matter. 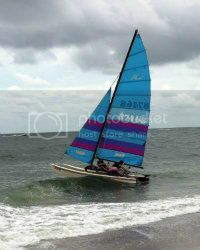 Hobie Cat Company and the Hobie Class Association (both International and North American) are separate entities. Hobie Cat Co. obviously believes there's a market for $450 rudder blades. Personally, I'm happy with the two sets of EPO2s and 1 set of Euro Carbon rudders that I own, and I'm not in a hurry to plunk down a large boat buck on two new rudders. I just hope they keep making the EPO2s which are already at high-end of the boat splurge range now. EPO3s are off the charts. That's 9% of a new H16!!! Ditto, Garret. I could see possibly buying a set of EPO2s for my 14, but $900 for a pair of EPO3s is out of the question. Last edited by MVD on Sun May 19, 2013 9:12 pm, edited 1 time in total. I think I talked him into selling me the EPO2's from his boat.. So maybe it is going to work out.. But dang... At 900 bucks I could buy an old beater boat and have more fun per dollar out trashing it, sending new folks out, ect.... than I could with a shiny new set of rudders.. It's all good with me... I am casting a mold from a set of original EPO's and going to build a set of cedar rudders.... This seals the deal.. Building them sounds like a great fun challenge!